The digital revolution in the financial services industry, among others, is driven by a need for speed. The introduction of digital products and services to consumers continues at a rapid pace with adoption curves some of the steepest seen. It is no longer wise to practice a "set and forget" strategy where every three to four years a product is updated with little going on in the intervening time. To be successful today, end users must have continuous access to a regular stream of innovations they can bring to market faster to satisfy consumer demand. As would be expected, these conditions are transforming how software is built, tested and distributed. Below are the benefits this transformation has for the payments industry. One of the key benefits of the DevOps methodology is the focus on efficiency. It is translated into the ability to develop new solutions faster using an iterative approach common to Agile methodologies. A critical aspect is the involvement of both the development and operations team members throughout the process. Using development methodologies, such as Waterfall, software is updated and maintained through periodic updates. Generally speaking, these updates are scheduled around quarterly, semi-annual, or even annual releases. The compressed nature of these release schedules is to allow software companies to keep pace with client needs. However, it has allowed their competition to beat them to market if they provided their updates quicker. DevOps combined with one of the Agile methodologies, such as Scrum, Kanban, or XP, enable companies to release solution updates continuously. By releasing smaller updates, Agile methodologies reduce the client’s risk by updating more frequently. This, in turn, allows the companies to continually innovate. Through this continual innovation, client needs are met and exceeded which pushes the cycle to the next iteration. This continual deployment allows clients to drive innovation into the market at rates much faster and more frequently than results using traditional methods. Some reports estimate the lead time gap to be more than 2500 times faster than that of companies not using DevOps and Agile methods. This is the age of digital transformation. All our critical systems rely on some form of IT infrastructure. Many of these systems are decades old and are in constant need of maintenance to avoid disaster. Failures of any system can have grave consequences, ranging from loss of revenue, diminished reputation, or loss of client trust. Studies show companies that follow DevOps principles have a reduced rate of failure while their recovery times are over 20 times faster than companies that use traditional approaches. The reduction of errors is due to smaller releases, which isolate change. The isolation of change streamlines the solution development process through each phase, from quality assurance to deployment. This isolation of changes makes it easier for clients to implement the change and gives them more confidence in the process. The increased confidence acts as a positive feedback loop, reinforcing the process. On the contrary, Waterfall's infrequent releases rely on bundling the hundreds of alterations made to the code into a single bundle for distribution to clients and their customers. This approach is inherently riskier and means more complex implementations for clients. In turn, this leads to a higher likelihood of an incident occurring. As mentioned above, the DevOps philosophy creates an environment where positive feedback grows trust in the process. Trust in turn leads to the continual delivery model as the norm. Continual delivery enables companies to focus on innovation which in turn feeds the cycle of successful digital transformations. Again, this positively reinforces the process and acts as a force multiplier enabling those who embrace the DevOps Way to maintain their competitive edge. DevOps complements lean business models and Agile development methodologies to achieve Digital Transformation. A key contributor to the effectiveness and efficiency is dividing work into manageable projects. By breaking up the work, teams can achieve results faster. Putting results into clients' hands expedites the feedback loop and allows the teams to adapt to client needs faster and with less disruption. Digital Transformation, like all change, involves an element potential risk. The risks can range from security vulnerabilities and process issues to software flaws or rebranding complications that were created or exacerbated by the change. DevOps minimizes risk by incorporating security best practices into each phase of the solution lifecycle. It also minimizes risk by simplifying processes, so there are fewer chances for issues to arise. Reliance on Agile development methodologies is critical to the successful reduction of software and delivery-based risks. DevOps scales to meet the challenges of organizations of all size. It can be used to implement projects ranging from greenfield applications to overhauls of legacy systems. DevOps is agnostic to the technology base impacted by the change, which makes it a powerful tool for Digital Transformation. People are the most important asset any organization has when implementing Digital Transformation. Employees are the foundation of the Triple Bottom Line (Employees, Clients, Profit). Happy employees make for happy clients. Happy clients lead to profit! To keep employees happy, organizations must engage and empower them. DevOps promotes employee satisfaction because it focuses on innovation, collaboration and leads to greater success. The sense of satisfaction employees achieve through DevOps is a force multiplier which leads to greater retention and recruitment. In large companies, innovation and Digital Transformation can be challenging. Like an aircraft carrier, large companies do not react quickly to change. Traditionally, their size was a benefit, but in modern times it has proven a detriment, as smaller, more agile competitors erode their leads. DevOps allows organizations of all sizes and complexities to accelerate the progress of Digital Transformation and innovation. This blog provides an assessment of how the continual development, innovation, and testing at the core of the DevOps is something to be considered seriously by any company trying to weather the digital storm. Daniel Carnes is our guest blogger and has more than 20 years of experience, including 15 years with First Data, leading teams of developers, engineers, and testers overseeing mobile and internet payment solutions, VAS Exchange, mobile security initiatives, identity management and card vaulting. Editor's Note: In a short time, the world of software development has been struggling to evolve with the demands of the market to be more responsive to the needs of consumers and businesses around the world. The speed at which things have moved is remarkable but for software development to match speed with consumer demand it alone is not enough. In addition, the various players in the value chain must deliver relevant innovations the improve convenience, efficiency, and effectiveness. This ups the ante considerably. 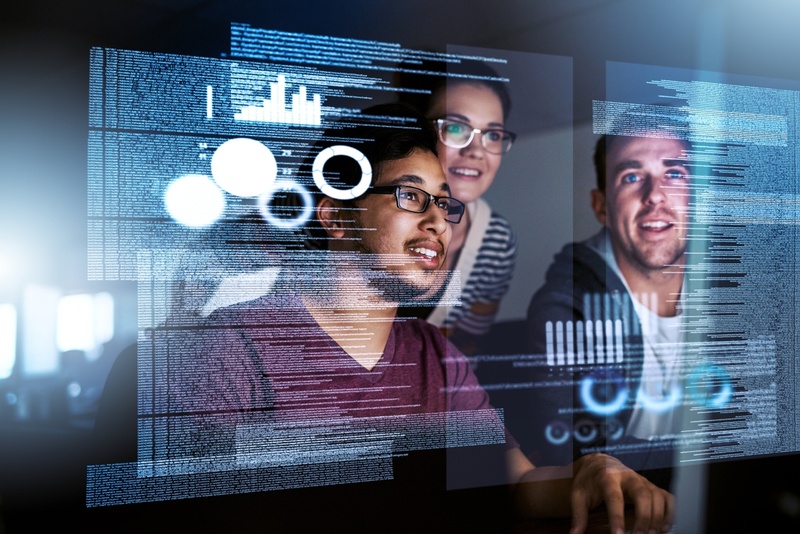 As a company focused on advanced, modern testing methodologies and tools for a financial services company, Paragon is committed to helping our customers optimize their DevOps model with continuous testing. Continuous testing in a DevOps environment is a critical step for ensuring the innovations they deliver are not only relevant to the needs of the market but are built to work without fail in the increasingly complex IT environments that are emerging in the ongoing digital revolution.